There is a very particular magic that happens when inspiration meets authenticity. For the enchanting Katey Brunini, the two are completely synonymous. Her years spent traveling the globe and living abroad led to studying with master goldsmiths in her family's native Italy, and her love for the natural world has resulted in a rich collection of organic jewels. Signature lines like Body Armor, DNA and Vertebrae show her love for the human form; while Twig, Spider Web and Spirit Animals embrace the beauty of flora and fauna. (Let it be known: If you meet Katey, she will ask you about your spirit animal. Best to think about it now and come prepared.) Yes, she hangs with shamans and vacations in enchanted forests, but believe us, there's not an ounce of Katey that is contrived. Every time we hang out with her we hope a little bit of the magic rubs off in our direction. Left: K Brunini Body Armor cuff in sterling silver with a 18.99 carat french cut green beryl and gray diamonds, $13,850. 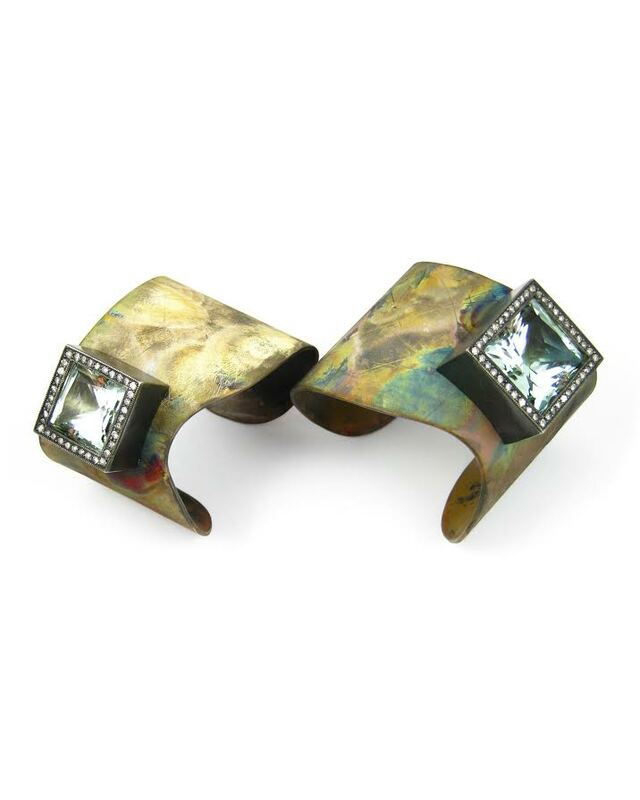 Right: Body Armor cuff in sterling silver with a 32.35 carat french cut green beryl and gray diamonds, $18,475. A picture from Katey's recent trip to the Alps – she visits the Tyrolean forests with her shaman. K Brunini insect and vegetable matter specimen amber necklace with Australian opal and fancy yellow diamonds. Price upon request. 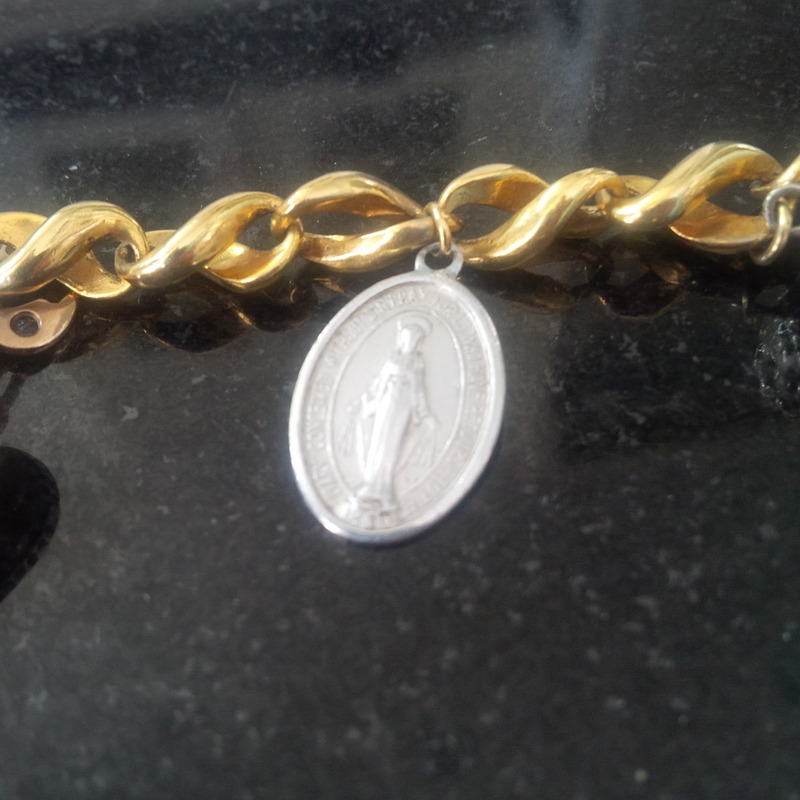 According to Katey, this medallion literally fell out of the sky and into her life. Her trusty, and inexpensive, bicycle. 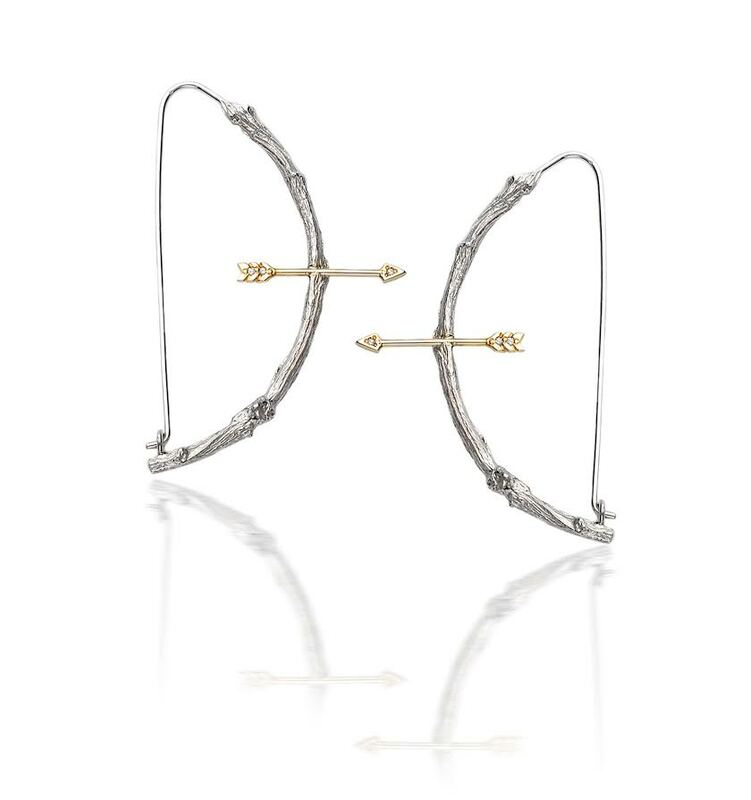 Small Twig 1/2 hoop earrings with arrows in 18k white gold, $2,840. 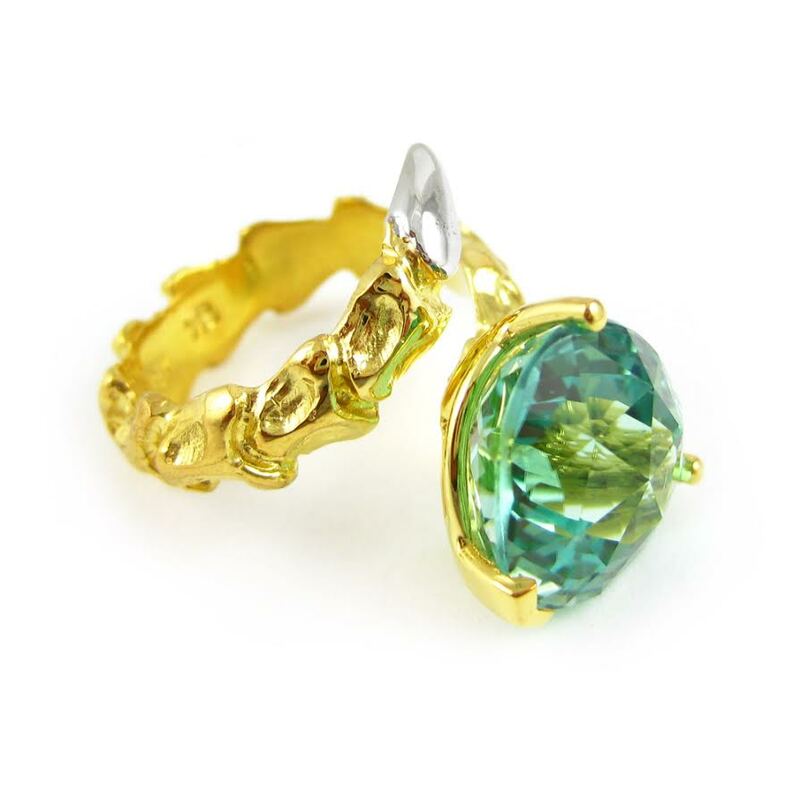 Small Vertebrae ring in 18k yellow gold with white gold tail and 8.79 carat neon green tourmaline, $37,825. Medium Twig ring in 18k rose gold with a 3.27 carat peach diamond and approximately 1.07 carat total weight yellow, brown and orange diamonds, $37,800. 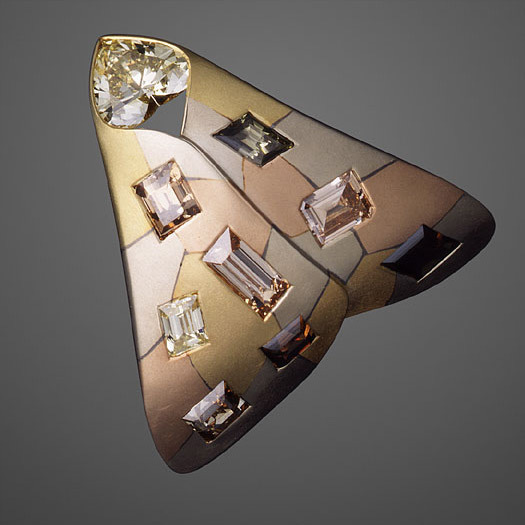 Pedro Boregaard's Rhomboid moth brooch in seven different colors of gold and featuring 11 carats of diamonds. Since I travel so much I like to eat at home when I have the opportunity. I will cook perhaps a Thai lemongrass soup or a fresh piece of meat or fish from Seaside Market. If you stay the night, Naked Café for breakfast…though I refuse to wait if there is a line to eat. A Pedro Boregaard moth. I should call him. I like to switch it up. Mountains, volcanoes, water, and a Latin speaking country tend to lure me. A mix of culture, exercise, nature…though recently I have been spending time in the enchanted Tyrolean forests in the Alps with a shaman. I am a voracious reader. Historical novels are my sweet spot. Just finished “The Heart of Everything that Is” on the plane. It's the story of Red Cloud, one of the last Sioux chiftains. Tito’s and soda + lime. I do weekly flower arrangements when home, no need to wait for birthdays. Fragrant lilies from Farmer’s Market and wild things cut from garden. Insect and vegetable matter specimen Amber necklace with Australian opal and fancy yellow diamonds. Sick. No idea. I started early. Leonardo da Vinci. We would invent something incredible together, and the masses would catch on in 300 years or so. A medallion (pictured above) fell out of the sky and landed on my foot. Old bicycle. Since I do not lock bicycles, I do not have nice ones anymore. This beauty (pictured) was a gift from Gdizzle. The Dead Weather, The Kills, Alma Megretta, Lana del Rey, Elvis, of course. Homemade salsa and guac. I like it spicy. Bergamot and grapefruit essential oils. Uplifting, joyous, addictive. McQueen circa 1995, right before he exploded. I like a red lip. Chanel probably. Organic lotion from Optimum Health Institute. I am contemplating bringing my bodyworker to Vegas, but he will not fit in bag….